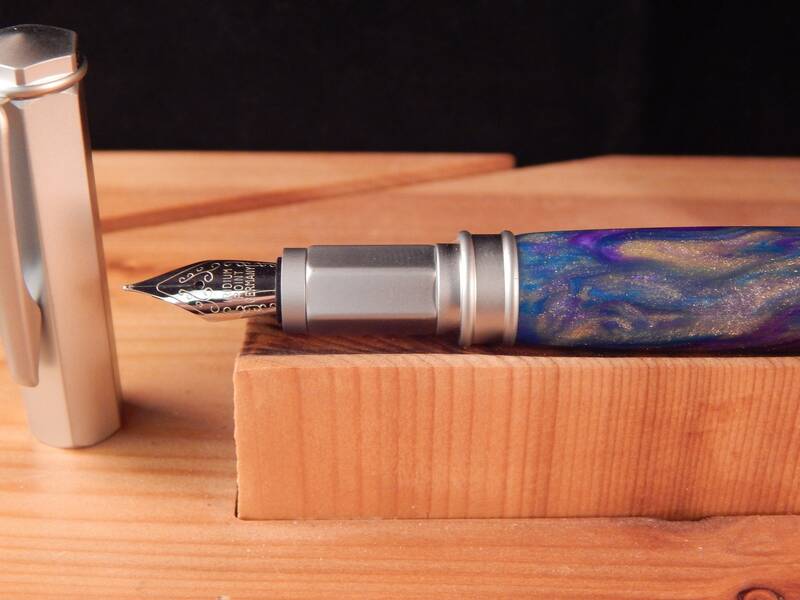 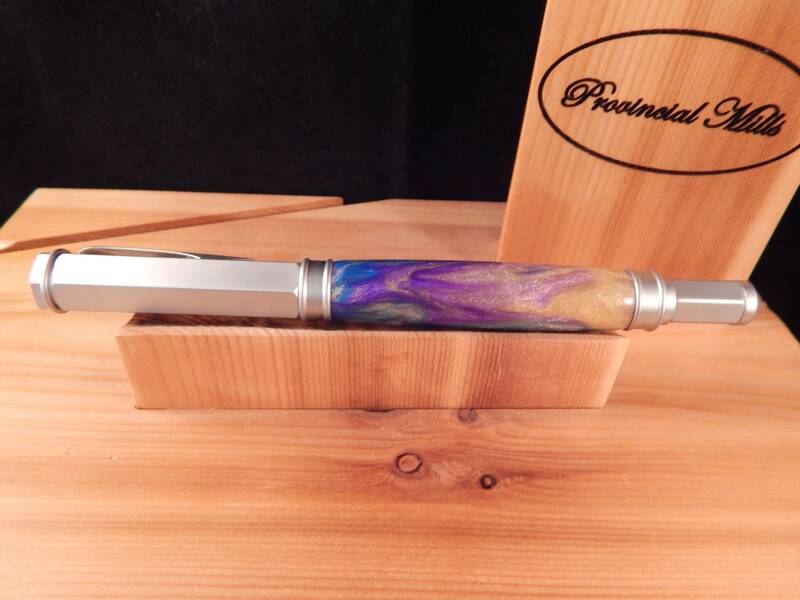 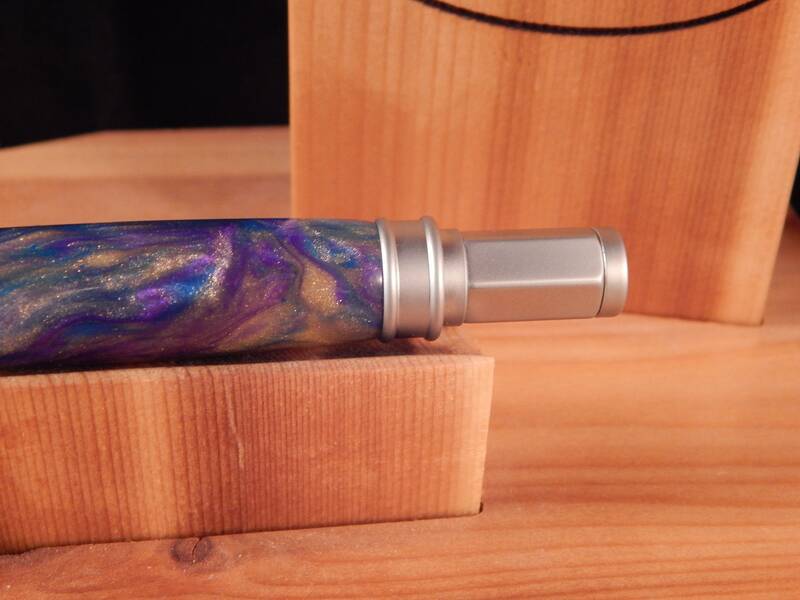 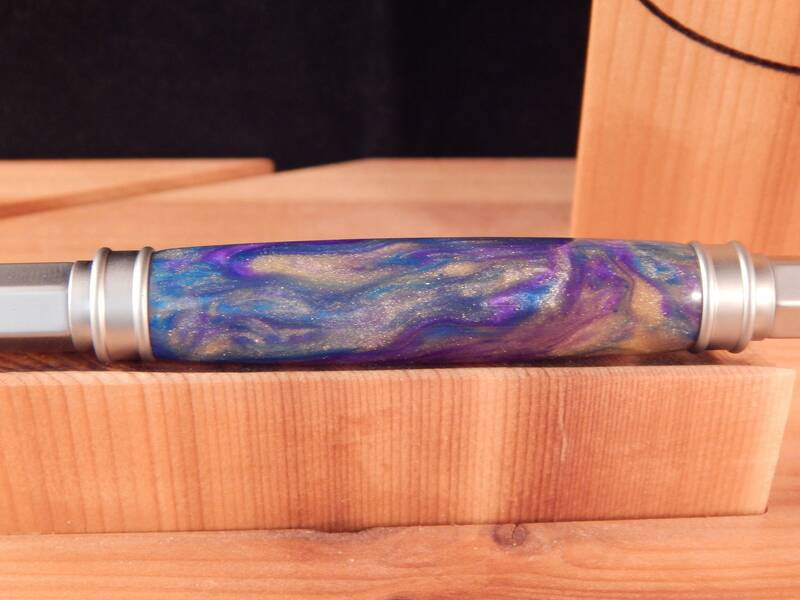 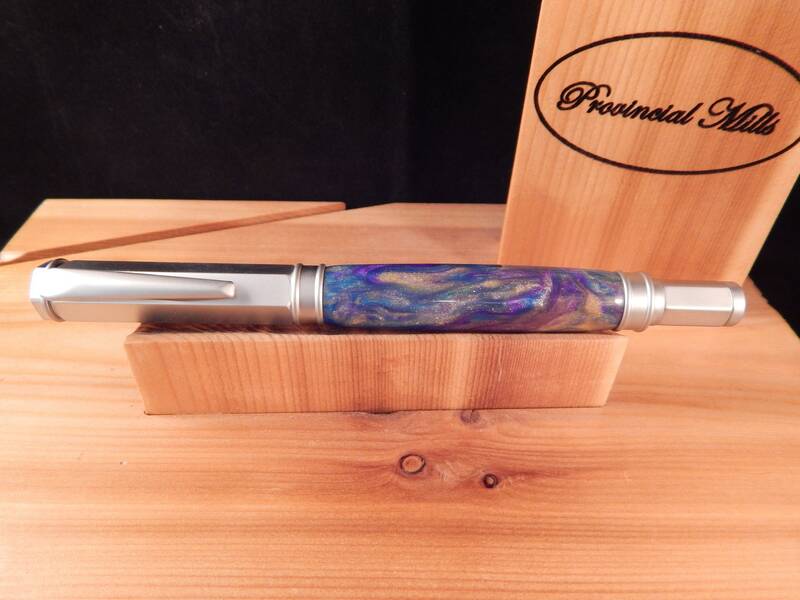 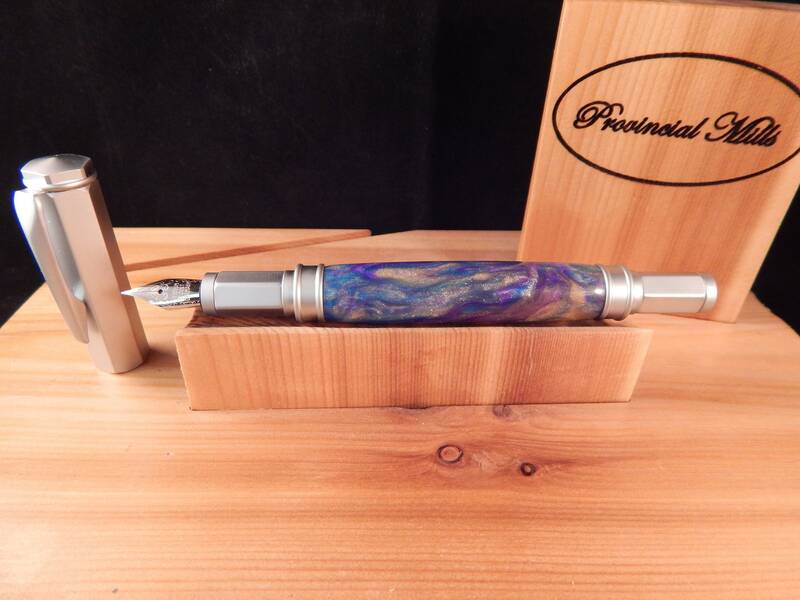 This vertex fountain pen was crafted from magical waters acrylic and matched with satin fittings. 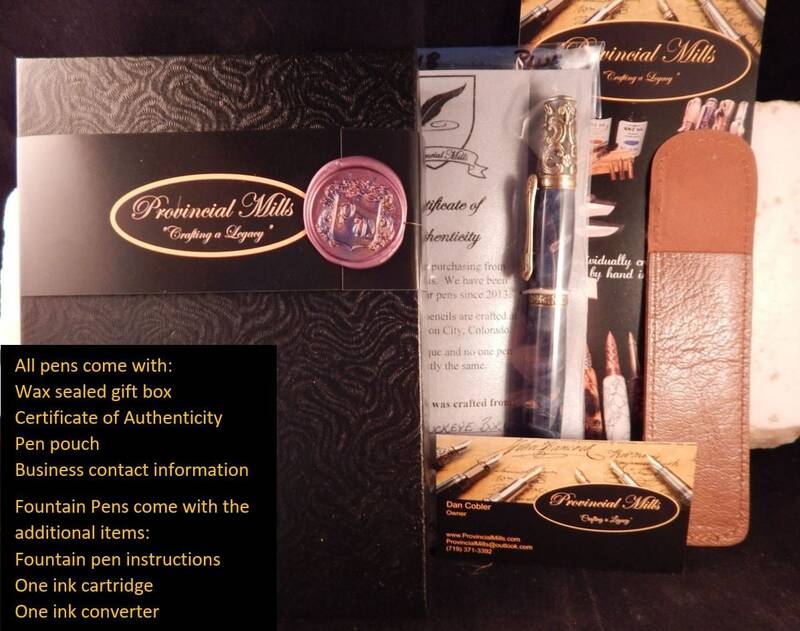 This pen features a iridium tipped nib and comes with an ink cartridge and refillable ink pump. 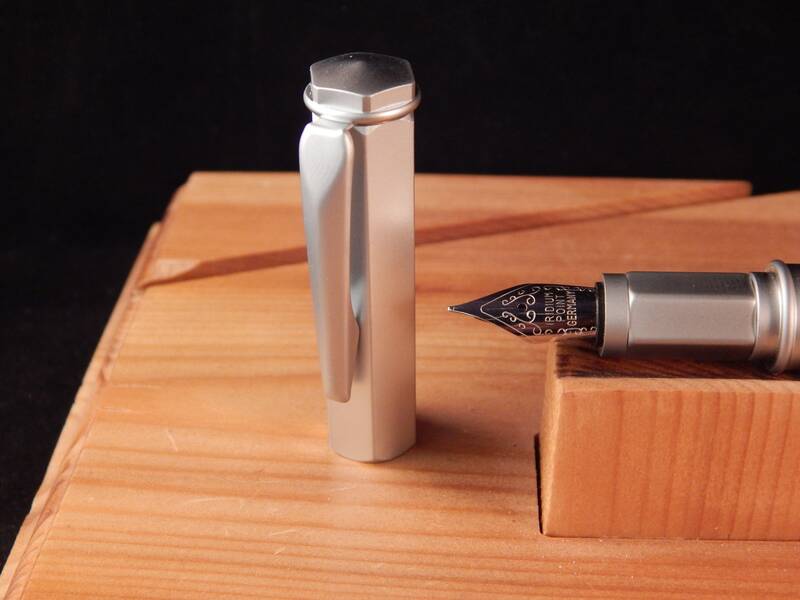 The cap of this fountain pen is magnetic and can be posted on the end of the pen for easy storage while the pen is in use.